Having done a number of mini-jigging sessions recently, I’ve certainly been bitten and that method of angling continues into this blog entry as well. One of the great things about this style is that it’s ideal when time is tight and that’s been the case over the last few days for me. If you’re in the position where you’re on a very tight time budget, rather than stop fishing, just think outside the box. That’s where lure fishing comes into its own. You don’t need to build up a swim, a ready-made rod means you can be casting out within seconds of arrival at the water’s edge and you have a minimum amount of gear to transport around. You can also conceal it in the boot as well, which is great for when you’re dropping somewhere on the way to work or wherever. You don’t have to concern yourself over lots of expensive gear on display in your car. Although perch were my target I didn’t catch any. 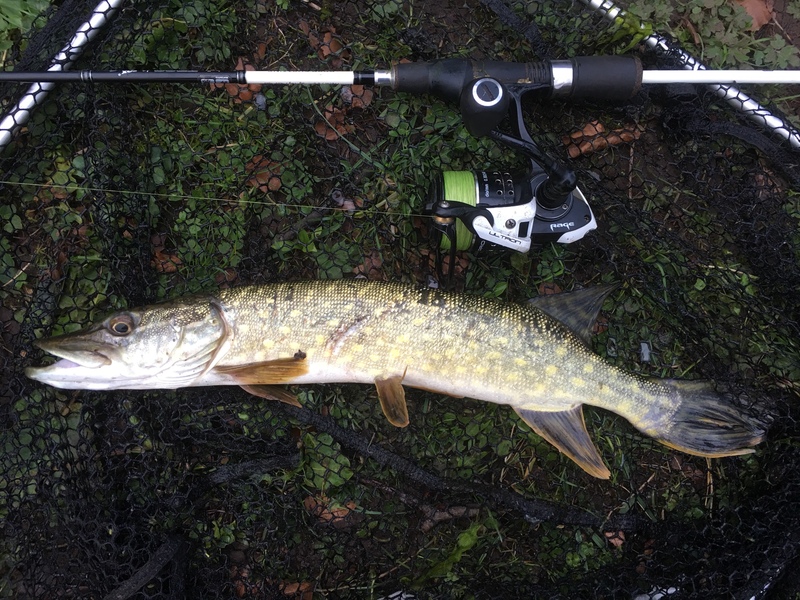 However, Esox lucius came to the rescue, so at least I had fish on the bank. The water temperature continues to be low and that was evidenced by leeches and lice on the pike, as the fish are on the bottom. Check out one of the photographs in the gallery on the embedded Instagram post. The others are standard fish images. I also had a number of lost fish due to hook-pulls. These things happen from time to time especially if the fish aren’t taking the bait that confidently. A number of the takes were very close in and in clear water I watched the fish engulf the lure. It’s great to get a thud when you can’t see what’s going on but even better when you can. The tackle I fished with can be found in blog entry 785.